*Customer must present a written quote from a retailer. Quote must not be more than 30 days old. Products must be identical. Cannot be an online quote. Cannot be combined with other offers. Does not apply to labor. Does not apply to discontinued, clearance, closeout, damaged, special order, or liquidation items. Offer valid with residential orders only and not valid at our Outlet Centers. 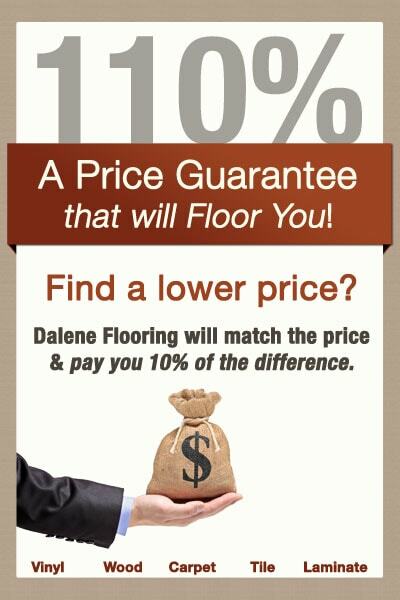 Offer valid only if purchase is made from Dalene Flooring. Our Price Match is for All Retail Flooring Categories!